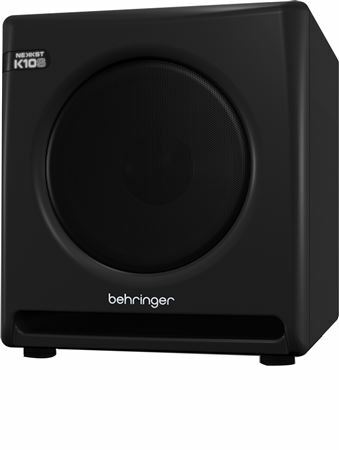 Shop Behringer Audiophile 10 Studio Subwoofer w Waveguide Tech from AMS with 0% Interest Payment Plans and Free Shipping. 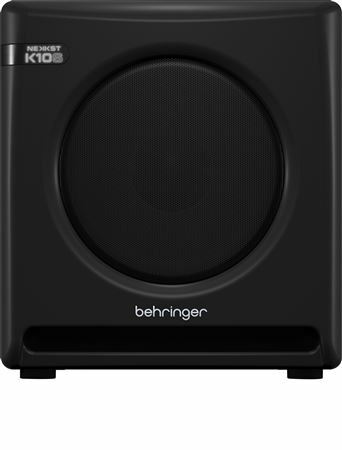 World-renowned studio monitor designer and founder of KRK Keith R Klawitter joined in collaboration with Behringer to create a studio sub with truly world-class performance for critical listening environments. 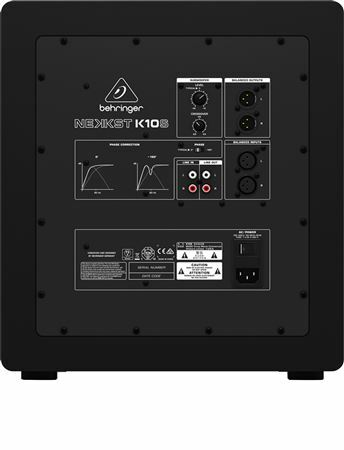 The 300-Watt NEKKST K10S Studio Subwoofer’s custom-engineered bridge-mode amplifier drives the 10 inch glass-fiber woofer for rich, deep and tight bass. K10S’ front-firing port was designed for the ultimate in low-frequency extension – without the typical boundary coupling and port turbulence found in competing systems. All the low end you’d need! Heard someone say it wasn’t low enough but I was not disappointed. It sounds great working on synth and bass stuff, listening to music sounds more full now too. Amazing value for the price! It was easy to integrate and tune it for my mixing environment. More of a mid low sub imo. Much better than I anticipated...very pleased so far! Very nice sounding sub! 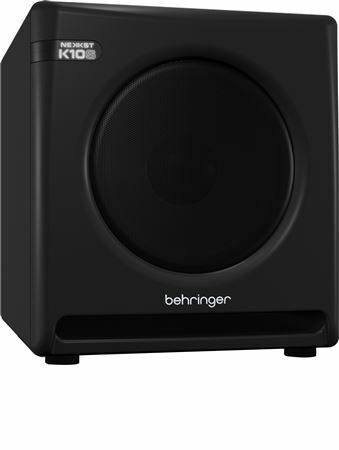 Using this in a home studio application along with KRK Rokit 5 monitors. Which is ironic since the designer is formerly of KRK. Compliments them perfectly! I had the gain at the recommended 12 o’clock position, but had to back off to 9-10 after gaining. Plenty of power left and still gives me great bass. Coming from the use of an 18” PA sub, that says a LOT about this thing. It rocks and the price point makes it perfect! Glad I purchased. Thumbs up!